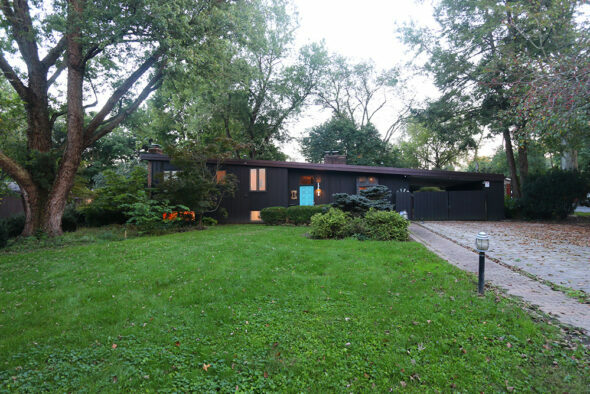 Home » Stunning Midcentury home! Stunning Midcentury home with an open and vaulted main living space that is ideal for entertaining. The glass room on the first floor provides the perfect sanctuary to enjoy the views of the oversized lot with mature trees and Koi pond. A few of the standout features of this home are 42 inch tall kitchen cabinets, skylight, owner bedroom balcony, newer designer main bath, 2nd floor laundry, abundant storage closets, lower level could double as a teen suite or in-home office, 2 car garage plus carport with storage. This home is truly special!